Former Senior Partner at a UK law firm and for 20 years was a catastrophic injuries solicitor. Since emigrating to New Zealand has been Chairperson of BIA (Hawke’s Bay) for the last 2 years and also elected President of Brain Injury NZ. On the Board of Trustees at Strive@EIT (formerly the Stewart Centre) and involved with Hawke’s Bay Rugby. In spare time is to be seen in the vineyard with his two Newfoundland dogs, Kiana and Nonu. Whilst studying psychology at Auckland University I asked Professor Jenny Ogden if she knew of any voluntary work I could do as I had some time on my hands. She suggested I approached Dr Dorothy Gromwell at the Concussion Clinic, Auckland Hospital and that was the start of my relationship with Brain Injury. I worked for the next 3 years with Dr Dorothy Gromwell and Mr Philip Wrightson in the early 90s. During this time the Stewart Centre was established under the banner of the Auckland Head Injury Society and I also made myself available to do some voluntary work there. I went on to become a neuropsychologist with a particular interest in working on the treatment side of brain injury rather than the assessment side as I could see that whilst people were being assessed and recommendations were being made there were very few psychologists at the time working on carrying out those recommendations. I became the Vice President of the Northland Brain Injury Association in 2006 and then the president in 2008 when Alex Stewart stood down. In 2009 I became the Northland representative on the Brain Injury New Zealand National Council until it was wound up in 2011. I have also been involved on the management side of health and was the Group Manager of Mental Health Services and Clinical Support at Northland DHB. I now own and run a medical centre in Whangarei in partnership with my wife who is a GP. I am part of the Commercial Banking leadership team at ASB Bank. My current role involves managing a number of high performing business account managers and ensuring the team’s service metrics are best in class. 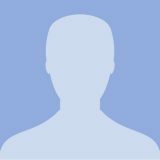 I am a Chartered Accountant and a member of the Institute of Directors. My partner suffered a serious brain injury in 2010 so I understand the support needed for family members affected. 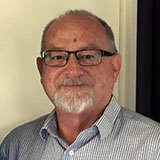 I am passionate about helping people with disabilities – I joined the Board of Achilles New Zealand in June 15 and am currently chairperson of Brain Injury Auckland. In my spare time, I am a running enthusiast and completed the Rome Marathon last year. 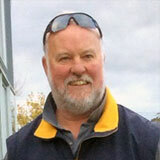 I am Chairperson of Brain Injury Waikato. I joined BIW Board in 2011, after having been introduced to BIW from the office manager there whom I did signage for through my signwriting business. Being a small business owner my business skills were utilised to bring the financial state of Brain Injury Waikato up! I sold my business and now work for Fonterra full-time looking after a team of 11 managing the Artwork and Packaging for all Fonterra export products including domestic butter products. I’m married to Grant Straiton who has completed 3 Trade Certificates in Printing Industry and Water Treatment Industry currently working for Fonterra learning his 4th Trade as a boiler man. We have 3 children, Casey 18, Serena 10 and Seth 9 and two rescue dogs, Rusty and Honey. Living rurally in the Waikato near Gordonton. In the pockets of my time I work on my Health & Wellness business by helping others achieve their health goals. Kia ora koutou katoa. Ko Maumaukai to maunga, ko Nuhaka to awa. 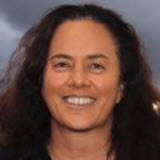 Ko Ngati Kahungu, Ko Te Aitangi a Mahaki me Rongomaiwahine etahi o nga iwi. No reira, tena koutou katoa. During my time as an accountant I have worked in a number of areas covering general financial accounts and audit. I worked as a Registered Nurse in Mental Health, Gerontology, Orthopaedics and Medicine. Nurse lecturer roles covering on Mental Health, Maori Health and Elder care. I have worked with the Brain Injury HB as a volunteer for almost 10 years and was elected to BI NZ for the Central Region. I am a Board member with Strive Rehabilitation in HB. Fiona is the Liaison Officer representative – nominated by the Administration and Liaison Officers from the regional associations. 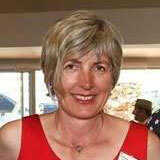 Fiona has been the Liaison officer in Nelson since 2006. Fiona has a background in rehabilitation and is passionate about brain injury. Alongside her role at Brain Injury she has been slowly working her way towards a Bachelor in Social Work through Massey University. Fiona enjoys seeing the significant benefits clients gain from support groups. For those who have been socially isolated a feeling of belonging, and being understood by people who really do know what it means to have a brain injury. I was employed by ACC for 23 years with the latter seven years of this time being within their Serious Injury Service. I am President of Head Injury Southland and have been a board member of Brain Injury NZ since July 2016. Brain injuries present so differently for many people and I embrace the increased public awareness of this often misunderstood condition. 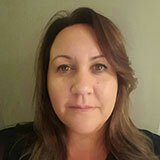 Cathy joined the National BI NZ team in 2016 as the Southern Representative (Otago Region). 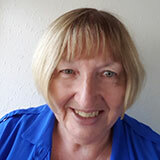 Cathy has experience in, governance (8 years on the Otago Head Injury Society Board), community committees, School Trustee along with 10 years self-employed. 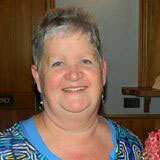 Cathy has worked the last 10 years Liaison Officer for BIA in Otago. Cathy is currently representing Brain Injury on the Ministry of Health Consumer Consortium as a family member. Cathy has 30 years life experience living alongside brain injury gaining a wealth of knowledge along the way. Cathy is a strong voice for Brain Injury understanding the impact an injury can have on individuals and their families. Cathy uses her knowledge and experience to further the understanding of Brain Injury in the community wherever possible. Cathy is committed to improving equity and access for those with an injury to good quality supports and services whether in a rural or urban setting. Nga mihi nui kia koutou katoa. Ko Joseph Akuhata-Brown ahau, No Kawakawa mai tawhiti ahau, ko Pukeamaru te maunga, ko karakatuwhero te awa, ko te whanau a Kauwhakatuakina oku hapu, Ko Ngati Porou te iwi, ti hei mauri ora. I am privileged to represent on the National Board whanau who have sustained a brain injury. My background is psychology, pastoral farming, management and governance. In this field I am chairman of the Brain Injury Association Gisborne and sit on the board of Strive Rehabilitation Tairawhiti. The reason for my interest in brain injury is not only academic, but also my daughter sustained a brain injury while horse riding.